the ultimate knowledge tool for pipetting champions! Maecenas faucibus mollis interdum. Donec id elit non mi porta gravida at eget metus. Nullam id dolor id nibh ultricies vehicula ut id elit. Download the handbook now and learn how to be a pipetting champion! 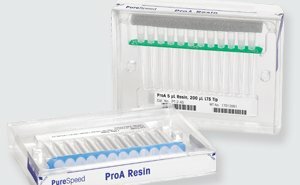 Good Pipetting Practice is intended to help researchers make informed choices on equipment, proper pipetting and ergonomic techniques, calibration and routine operation, to get the best results possible. Pipetting – or measuring and transferring – small volumes of liquid in the microliter and milliliter range is probably the most frequently practiced activity in research laboratories, and to be able to carry out this task quickly and precisely is an absolute prerequisite for successful laboratory work. Modern air-displacement pipettes are used for the greater part of lab work because of their numerous advantages – they are the ideal instrument for effectively dosing small quantities of liquid. A high level of productivity, with corresponding savings in man-hours, is possible through using modern high-quality pipettes and tips. Most new projects will benefit from a full planning process where all the steps within the workflow are analyzed for maximum efficiency and data generation. From the liquid-handling perspective, this requires an understanding of the starting sample type, the end point analysis required, and sample throughput. These in turn will direct the techniques used, and the liquid-handling formats required (tubes, plates, etc.). This subsequently determines the optimal liquidhandling tools for the workflow. 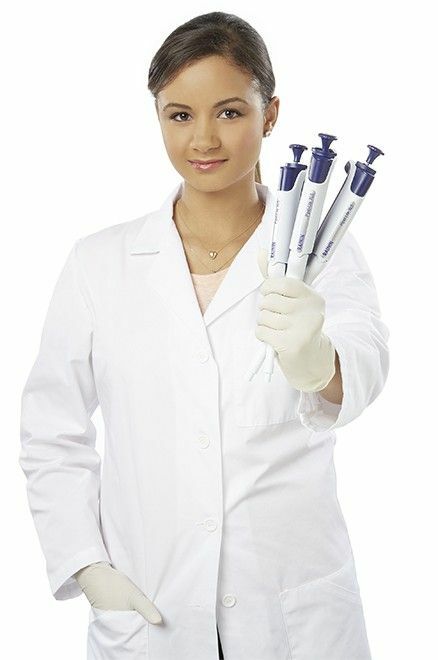 For any pipetting activity or action, the pipette, the associated tip and the operator technique must be considered as one system in order to deliver the accurate volume of liquid required. 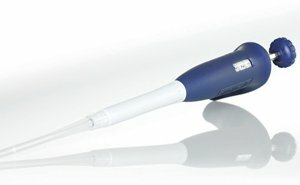 Choosing the correct pipette and tip and then using the most effective technique is an integral part of designing and implementing any project or experiment. There are many pipetting tools available to achieve optimal results and greater productivity, at the same time providing additional benefits such as improved ergonomic features and better functionality for a given application. There are two major types of micropipettes: air-displacement and positive-displacement. Both types determine the volume of liquid dispensed by using the diameter of the piston and length of the piston stroke. Air-displacement pipettes are the most common pipetting instruments found in the lab. These pipettes operate by placing the end of the tip into liquid sample, then releasing the plunger button. A partial vacuum is created when the pipette piston is moved up within the pipette body, and liquid sample moves up the tip to fill the void of the selected volume created by the partial vacuum. 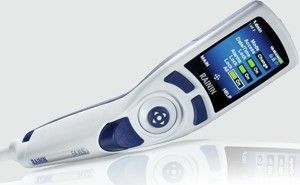 While not nearly as common as air-displacement pipettes, positive displacement pipettes are frequently seen in laboratory settings. These pipettes use a disposable piston and capillary system to make a physical void of the selected volume. The piston is in direct contact with the sample, and when the piston is moved upward sample is drawn into the capillary. Positive-displacement pipettes provide high accuracy and precision when pipetting aqueous solutions, but are recommended for use with viscous, dense, volatile and corrosive solutions. 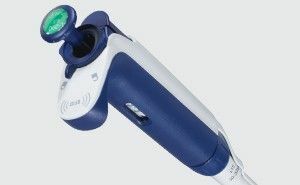 The disposable capillaries and pistons used with a positive-displacement pipette are more expensive compared to the disposable air-displacement pipette tips, so air-displacement pipettes are recommended when they will yield the same results. The pipette and its manufacturer-recommended tip is best viewed as a system, not two individual components. Pipette tips which are advertised for use with all pipettes often exhibit compromises in fit or design, since they are intended to fit a wide range of pipette models. 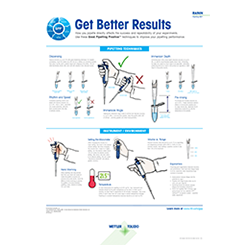 When selecting pipette tips, features to consider are design, quality and fit. The most advanced design in pipette tips is the flexible thin walled tip with a fine point, or small tip orifice. 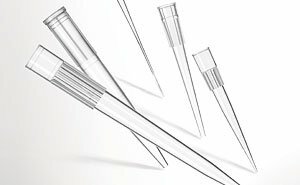 For small volume pipetting, less than 20 μL, Rainin Fine- Point™ tips improve accuracy and precision over standard pipette tips that have thick-walls or beveled ends. FinePoint tips are more flexible than most other standard tips, and allow the liquid sample to flow at any tip angle for complete delivery. That is, far less sample is retained on the tip as compared to thicker-walled or beveled-end tips. Differences in tip design affect performance, accuracy and precision. However, when pipettes are used correctly they will provide guaranteed performance of specified accuracy and precision, provided that the manufacturer’s recommended tips are used. The most severe quality defects occur at the orifice or end-opening, where sample aspiration and dispensing is most affected. Figure 13 illustrates four tip ends in a magnified view. Flash is residual plastic left over from the molding process on the inside of the tip or around the aperture. Molding defects and coaxial defects result from improper firing of the mold core pins after plastic has been injected. All of these defects will result in sample loss during pipetting. A high-quality manufacturing process will minimize the occurrence of tip defects and the resulting errors. Correct evaluation of your application – and therefore selection of your instruments – will significantly impact the results of your research. Yet these aren’t the only things researchers need to consider for optimal research results. Other influences, like correct pipetting technique and environmental conditions also impact results. Accuracy and precicion are essential to scientific research and the following pages give a brief overview into several facets of pipetting technique. Did you know for example, that by simply following these techniques, your accuracy and precision might improve by up to 5%? The normal operating range for most pipettes is 10 - 100% of nominal volume. Although this is considered to be the operating range, the performance specifications will change as the volume setting decreases. The accuracy specifications for a 100 microliter pipette are +/- 0.8% from 50 - 100% of nominal. Yet if you were to pipette at 10 μl (or 10% of nominal), the inaccuracy specification would be more than 3 times greater, or 2.5 - 3%. Therefore the optimal volume for the most accuracy and precision is typically 35 - 100% of nominal. Try to avoid setting a pipette‘s volume to less than 10% of its maximum – instead, switch to a smaller volume pipette for smaller volumes. Particularly important for micro-volume pipettes, correct tip immersion depth can improve accuracy by up to 5%. The tip should be immersed between 1-2 mm for micro-volume pipettes and up to 6-10 mm for large-volume pipettes. If the tip is immersed too far the volume of gas in the tip is compressed, causing too much liquid to be aspirated. Liquid retained on the tip surface can also distort results. If the tip is not immersed far enough air can be drawn in, resulting in air bubbles and inaccurate volumes. Both result in inaccurate volume. 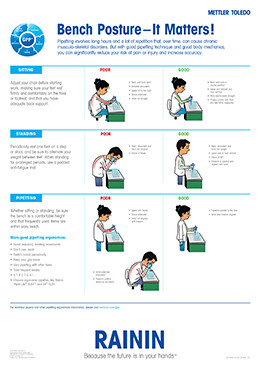 The Quick Check poster explains in ten easy-to-follow steps how anybody in the lab can check the performance of their pipettes.